Skills: Vocabulary, Grammar, and Creative Expression. "If you can't explain it simply, you don't understand it well enough"-Albert Einstein. I believe this great quotation because as a teacher I should aware of the content and standards of my children. So I always search for the right method and activity to carry into the classroom to give the best to my children. Here I found this ANTONYM activity on the PINTEREST and carried into my classroom. 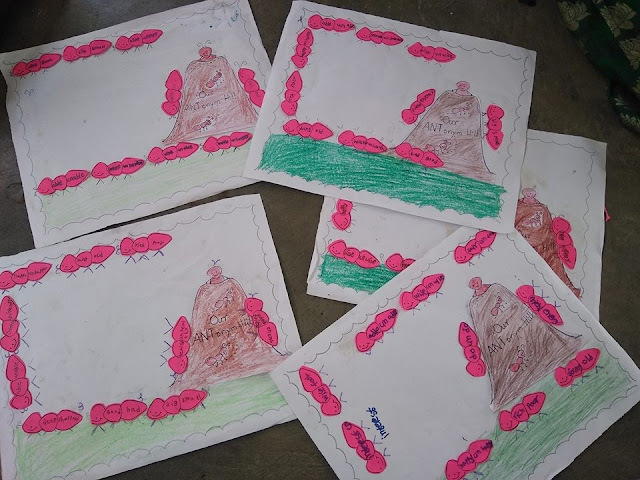 Once I taught opposite words in a period and informed to my children, you are going to design an ANT Hill in the next class. So I instructed my children to read the opposite words well to prepare the ANT hill. Topic: Adjectives Class: 3rd Grade Skills: Speaking, Writing, Grammar, and Creative Expression. Here I am going to describe how I taught an adjective topic to my 3rd class students in an activity based. I started my period by writing a few adjectives on the board and asked them the meanings. After a small interaction about the words, I told them we are going to play a language game to understand the topic well. Language Game: "Snow Ball Fighting" It is one of the well-known language games to develop creative writing skills. 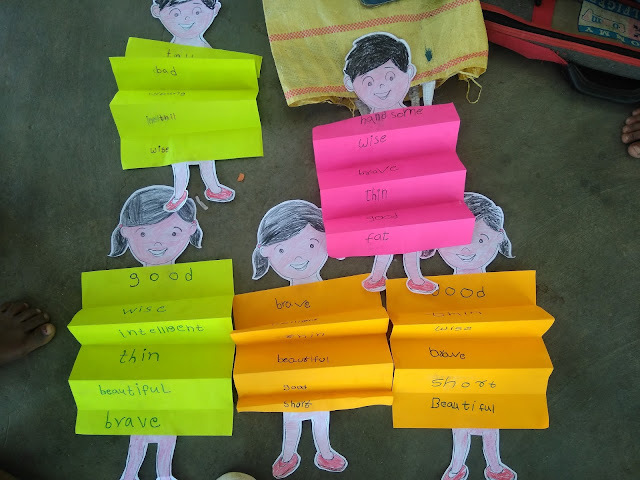 I have used this game to stimulate my students to write about his/her friend using those adjectives during the topic introduction.